The Language Corner offers classes to students in the Ciudad Lineal Area. We are open Monday through Saturday with morning and evening hours available. A good level of English is essential for travelling the globe, searching for jobs or advancements, making new friends or understanding your favourite television series. When looking to improve your English, attending regular English Classes can help you achieve your goal. 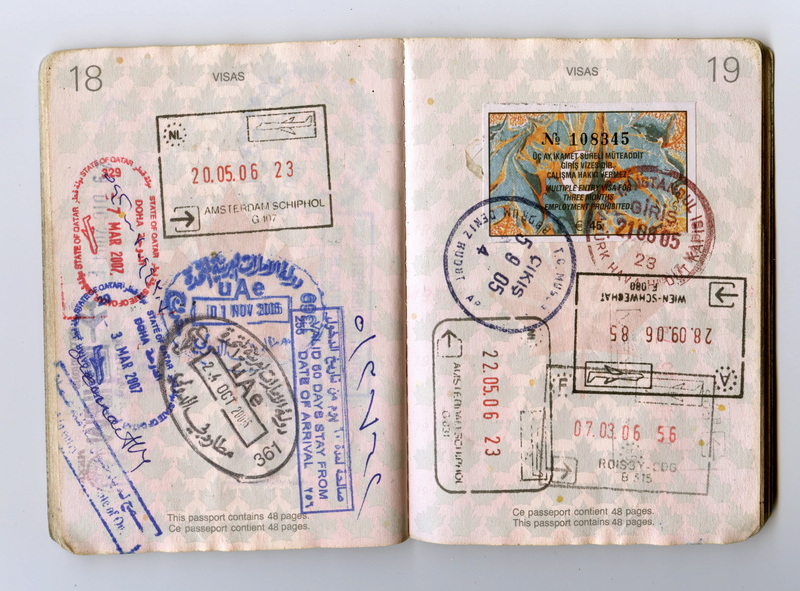 Another interesting possibility for learning English is if you are able to travel to a foreign country and attend classes. By travelling to an English speaking country you will have structured English classes each day, but you will also benefit from the immersion of being in a country that operates in English. This will have you thinking and speaking in English in a way that Spain cannot offer. The Language Corner recently met with Mario from Inglés Aventura to discuss study abroad programs and options. Inglés Aventura is a company that assists people in Spain with having a successful experience studying English overseas. It does not matter your age or level of English, Inglés Aventura will help find the correct course for you. 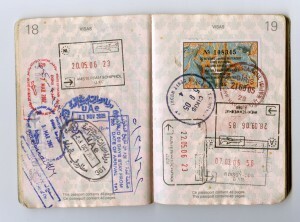 Travelling to a foreign country is an incredible experience. You are able to explore new sights, meet interesting people, learn from different cultures, taste exciting foods and so much more! Life is full of many different opportunities and one that you are never too young or too old to have is studying English abroad. This entry was posted in Uncategorized on April 23, 2015 by Merlin. 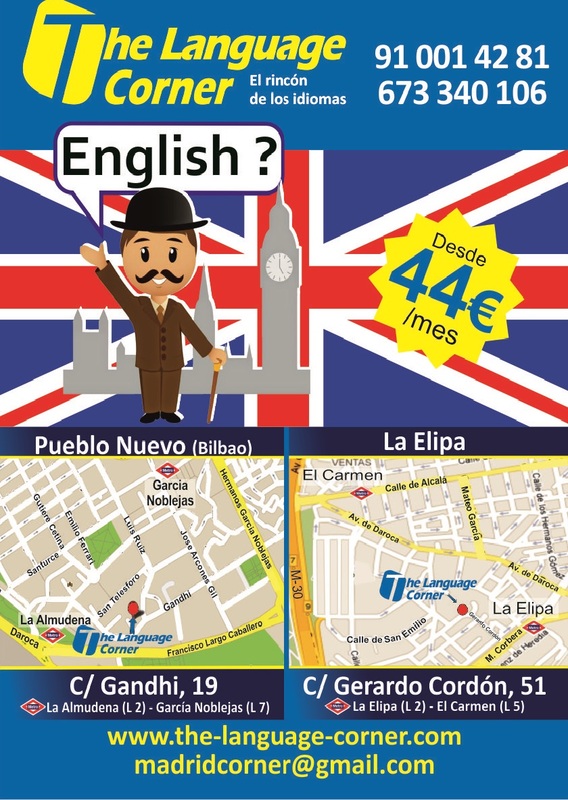 At The Language Corner we feel very lucky to have our English school so close to such a vibrant and fascinating road as Avenida del Marqués de Corbera. 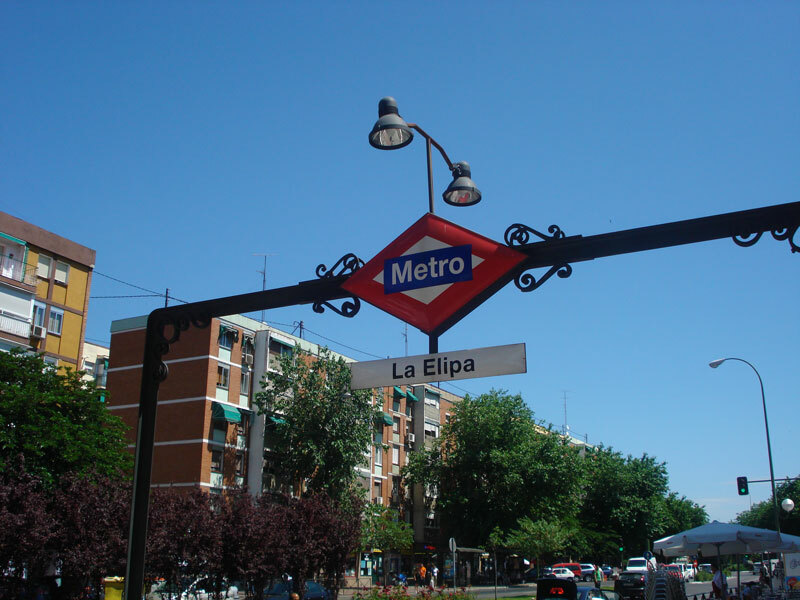 It plays a very important role in the life of the La Elipa community and our native English teachers always comment on how much activity there is up and down the length of the road. As well as being the main road through La Elipa the Avenida del Marqués de Corbera hosts some of the most popular social events. If you are from the Ciudad Lineal area you surely must have attended at least one of the Fiesta de Septiembre, Mercadillo Popular de la Artesanía, Carrera Popular, Fiesta de la Bicicleta and Cabalgatas de los Reyes! Avenida del Marqués de Corbera was recently featured prominently on the RTVE program Comando Actualidad. It starred amongst other people the famous local band Burning, who themselves reference La Elipa and Avenida del Marqués de Corbera in many of their tunes. Also featured were the Asociación de Vecinos La Nueva Elipa, who we support in their important work in the local area. 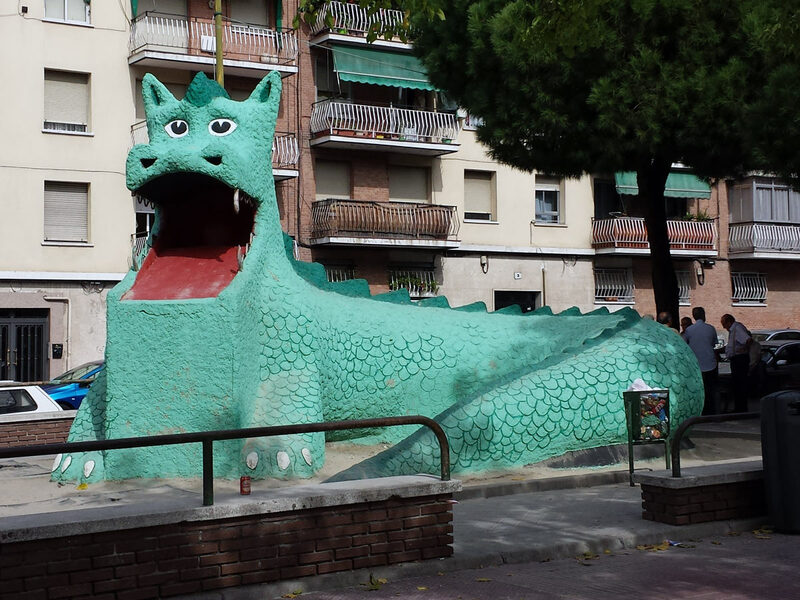 Other highlights of Avenida del Marqués de Corbera include the incredibly well-known Dragón of La Elipa and the fantastically friendly bar La Fornia, where you can often find The Language Corner teachers enjoying the great food and ambience. The road is a short distance from other important local sites such as the Cementerio de La Almudena, Fuente del Berro park, the TV tower El Pirulí and the adjoining padel courts. So as you can see Avenida del Marqués de Corbera is much more than just a road, it’s an authentic piece of Madrid history! 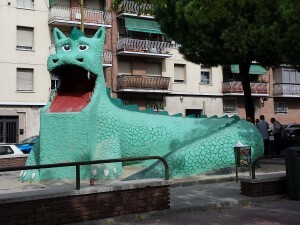 This entry was posted in Academia de inglés en Madrid, English in Madrid and tagged clases, conversation, Dragón, english, inglés, La Elipa, Madrid, Marqués de Corbera, Native on April 22, 2015 by Luisa. 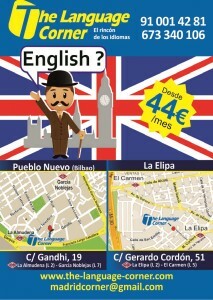 The Language Corner is an English Academy located in Cuidad Lineal, Madrid. Our two language schools are staffed with native English teachers. The teachers have experience in the field of education, but they also have other skills such as: business, theatre, art, dance, maths, science, and more. Today’s article is about Laughter and Language Learning. Jessica, who is on staff at The Language corner, is a certified Laughter Yoga Instructor and a Laughter Therapist. She has been teaching English in Madrid for the last five years and has found it very common that Spanish students learning English talk about “vergüenza”. Jessica gives Laugher English workshops where she says, “Students are given the opportunity to practice English in a more relaxed and natural manner”. You will find yourself more attentive, more motivated, and more excited to go to class. The level of interaction between students is higher. The level of interaction with the teacher is higher. Laugher is infectious and will have everyone participating. Your levels of stress and anxiety are much lower while you are laughing. Classes that include laughter are a lot of fun! Interested in knowing more? In this video, Jessica talks about her experience using laughter in the English learning setting. This entry was posted in Uncategorized on April 17, 2015 by Merlin. Are you trying to learn or improve your English? The Language Corner has many ideas to help you. To learn about these ideas, tune into our youtube channel and be sure to visit our blog. Check out our first video, an informative video featuring Joshua, who is the Quiz Master at the Language Corner. He talks to us about what a quiz is. What can you expect at Quiz Night? How can a quiz help you learn English? Quizzes are a great way to practice English with Native English Speakers. The Language Corner held its first Quiz Night on March 13th, 2015. It was a lot of fun! We’d love to have you join our next event. Friend us on Facebook, to be updated on our events and activities. Why is a pub called a “pub”? Watch this video to learn the answer. This entry was posted in Youtube channel and tagged actividades en inglés, inglés, Madrid, nativos on April 16, 2015 by Merlin.